Who doesn’t love a little free aquarium equipment? 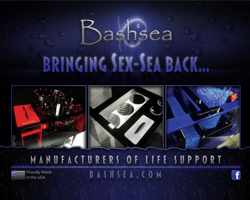 Well, we certainly do, and that’s why we are sharing this latest giveaway from Premium Aquatics. With the help of social media, the online aquarium equipment retailer is generously giving away a Reef Octopus Prime protein skimmer to one lucky individual. The contest itself is pretty straightforward, but has multiple routes of entry. 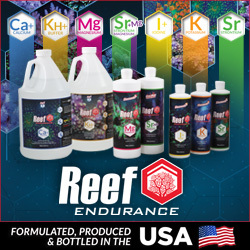 To enter, all you have to do is like the Premium Aquatics Facebook page, like the Reef Octopus USA Facebook page, fill out a Woobox contest entry form, and share the contest with your friends. Each of those options gets you one entry into the giveaway, with more entries coming from each of your friends that enters from your shared post. As for the skimmer itself, the Reef Octopus Prime is the latest entry into the wine glass bodied skimmer market. It sports all of the usual features of high end skimmers, those being a conical shape, bubble diffusing plate, removable parts for easy cleaning, and vibration reducing rubber components. In addition to those features, the skimmer also has a few other nice details, with our favorite being the numerical dial on the riser tube that allows for better adjusting of the skimmer’s internal water level.